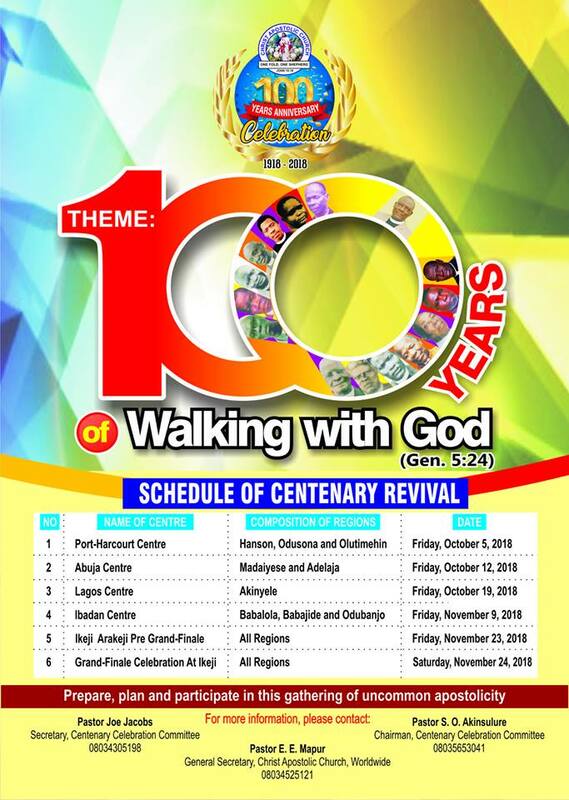 It was indeed a celebration of 20years of walking with God on Saturday March 30, 2019 at the 20th anniversary of Christ Apostolic Church, Peaceland Assembly, Peaceland District headquarters, Odi Olowo DCC, Lagos. No word can best describe the joy of the day as former and present members of the church, friends and well wishers gathered to celebrate the faithfulness of God at the glamorous programme. There were presentation of awards to some members of the church and others who have made indelible impacts to the success story of the church since its inception till date. The District Superintendent of CAC Peaceland District headquarters, Pastor F.A. Oke told CAC NEWS that God has been the helper of the church and He has been helping them since all these while. He said he is appreciating God because pastoring the church for 20years is not very easy, stating that the journey is not that smooth, but God is with His church. "I experienced a lot of thing that one may not even know how to describe. But the bottom line is that God is with His church and He is walking with us. Whenever I have any problem or challenges, I go to Him and He always solve if for me. I don’t see the church as mine, but as God’s church," he noted. While preaching on at the programme on the topic "The Unbroken God's Covenant," the District Superintendent of CAC Liberation Center, Pastor A.A. Adeniyi said that CAC Peaceland is a product of God's Covenant. He noted that God's Covenant will never allow evil to overcome anyone, using King David as an example. 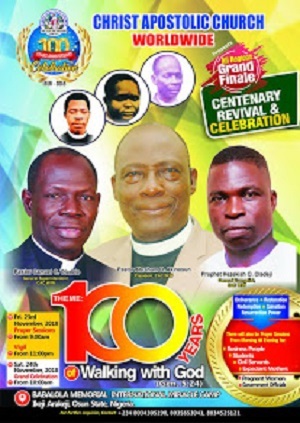 Pastor Adeniji who was representing the DCC Superintendent of CAC Odi-Olowo DCC, Pastor E. O. T. Olorunwa said that unchangeable covenant is the covenant from one generation to another which generational problem can't overcome. He congratulated the church on the epic achievement , urging them to put more effort in propagating the gospel of our Lord Jesus Christ.